KENNEDY SPACE CENTER, Florida - A space shuttle tile on exhibit was stolen from the Atlantis Exhibit at the Kennedy Space Center in Florida on Sunday, April 9, 2017. "I had a somewhat traumatizing experience at the Atlantis exhibit today," NASA educational staff member wrote on her Facebook page. "I wasn't even up there for 10 mins. when someone STOLE one of my shuttle tiles! I had it on our upper shelf behind the cart where it's a bit difficult to reach it. I was about 10ft. away and every now and then looking at it while I was talking to guests. I noticed a large crowd surrounding the cart, and scurried back. I 'footprint' everything I have there; and immediately noticed it was gone!" 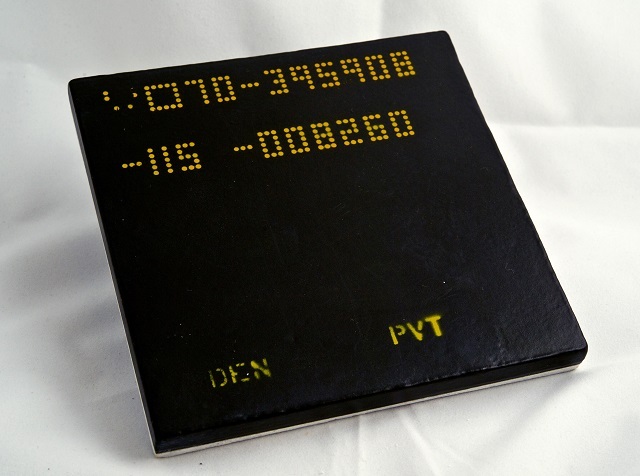 Far from the priceless moon rocks that NASA has lost over the years, this particular thermal tile was never used on a space shuttle but instead was only used for educational purposes. After the end of the Shuttle Program, NASA began to give away tiles and astronaut food to educational institutions. Space shuttle tiles have made their way to collectors and now sell on Ebay anywhere from $35 to $200. But the relatively low monetary value of the tile hasn't stopped NASA fans on social media and Reddit to attempt to recover the stolen tile.